Hebei Weitong Fiberglass Co., Ltd., is a first-class fiberglass manufacturing and marketing enterprise in China, which is specialized in fiberglass storage tanks and fiberglass reinforced mortar pipework and owns more than 20 national patents including fiberglass devices of coal chemical industry, aeration mixing nozzles, papermaking industry towers, large-diameter flue duct preparation devices and jacketed fermenters. 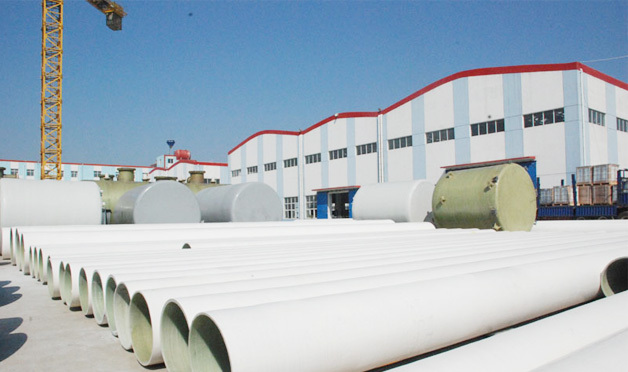 Product specifications: Storage tanks below DN25000mm and DN15mm-12000mm series fiberglass pipes, and the annual production capacity of storage tanks is 10,000 tons and that of pipes is 20,000 tons. The Company takes the pursuit of quality and innovation and integrity first as guidelines, strictly implements ISO 9001 Quality Management System, and has been certified by TUV and the design, production and quality control of its products meet the requirements of the European market. It has the Certificate of ISO14001:2004 Environmental Management System and the Certificate of OHSAS18001: 1999 Occupational Health and Safety Management System, and has been awarded the honorary titles such as “Well-known Brand Products in the Chinese Market,” “Advanced Unit without Complaints about Market Quality” and “Trustworthy Enterprise.” Over the past 20 years, its products have been well received in the domestic market, and have been exported to dozens of countries and regions including the United States, Italy, Netherlands, Greece, Russia, Israel, Pakistan, Uzbekistan, Mongolia, Japan and South Korea.